Before local events, Team SPEARHEAD training starts to ramp up. A lot of people come to us with a simple question – What should I do to prepare? There are many training philosophies about training for ruck events online, and even within Team SPEARHEAD itself. Even GORUCK offers a six week training plan. Everyone is different, and everyone trains differently – that’s how it works – but one answer to this question is PATHFINDER. We believe that PATHFINDER offers a solid foundation that will prepare most people to crush their event, Team SPEARHEAD-style. If you like to have a specific road map to follow, and if setting and meeting goals motivates you, then PATHFINDER may be right for you. Individuals completing PATHFINDER will earn an exclusive 3×3 PATHFINDER patch. 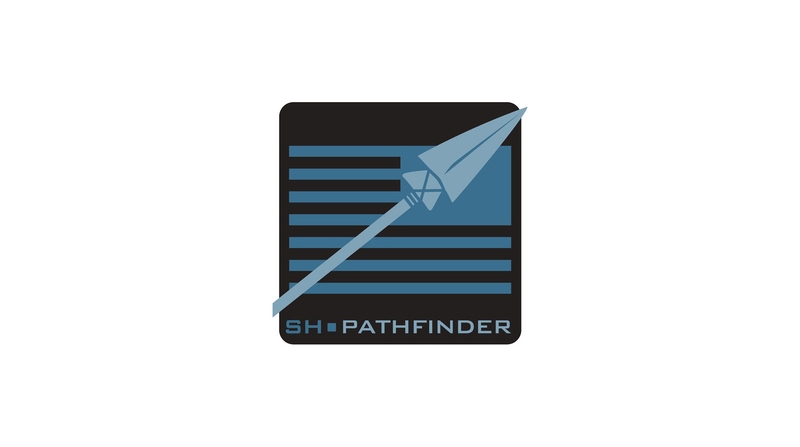 The SPEARHEAD PATHFINDER program is a 12 week plan developed to help individuals meet their training goals and prepare for events. This program is an individual commitment, taken on at your own risk (don’t sue us). Completing PATHFINDER will require dedication and self-discipline. The bulk of this program focuses on rucking; specifically distance and speed. Ruck More is what you always hear from the cadre, and PATHFINDER embraces that philosophy. Not only will PATHFINDER help prepare you physically, but it will help to teach you important skills such as navigation, pace and distance estimation, leadership, and teamwork. Leadership, fellowship, and teamwork are major components of PATHFINDER. We encourage you to complete every single ruck mile with your teammates; however, the program is designed to be able to be completed individually if you prefer. Be sure to keep good records of everything you do as you train – it will make you proud and motivate you as you watch those miles rack up. All training is designed to be done with a ruck loaded with stated event required weight, but work your way up to full weight if you are just starting out. The cost to participate in a PATHFINDER Class is $25.00 (USD). This program fee provides you access to the online tracking tools and helps defray the costs of administering the program and supporting the online training community that you will become a part of. You will also receive a complimentary 2×3 PATHFINDER Blank Roster Patch on which you can write your Class Roster Number and wear on your ruck or Tac Hat while you train. Check out the Roster Patch gallery here. You will keep track of every mile you ruck throughout the program. In twelve weeks, you will complete at least 75 miles. See below for sample workout schedule similar to the one that we follow at Team SPEARHEAD. In your event, leadership and teamwork will be key. We encourage you to complete every ruck mile and every workout with your team. For at least three workouts, you should step up to plan and lead the workout yourself. Use these to test yourself and your team in various ways. See full list of challenge options below. In twelve weeks, you will complete at least 4 of the following PATHFINDER challenges. Pass the Army Physical Fitness Test; OR, attempt the test and show improvement in at least one area four times without falling back in any other area. Use your PT test score to monitor your progress throughout the twelve weeks. Ruck a total of 36 miles before or after workouts (minimum of 4 miles for one individual post). This challenge gives you more practice wearing the ruck for longer periods of time, and encourages you to ruck and PT in succession. 8 Mile Mountain Ruck. Ruck on trails in a mountainous area – hilly with rough terrain. This will work different muscles than you typically work when rucking on flat sidewalks. 15 Mile Overnight Ruck. Start at some point during the night, and don’t stop until you reach 15 miles. Get used to rucking in the dark and wearing your ruck for a longer period of time. Practice night vision and use of your head lamp ONLY when required (red filter preferred). Move 45 Pounds Of Coupons For Every 2 People In Group at least 8 miles. Three people would be required to move 68 pounds, four would require 90 pounds, etc. Practice creative ways of distributing the weight. Get used to pushing a quick pace on a ruck. Learn your pace and practice without your watch. Learn to judge distance by time and pace. Set a higher goal for yourself and ruck on! If GORUCK Heavy is in your future, this one should be a no-brainer. Successfully complete a GORUCK Light, GORUCK Tough, or equivalent ruck-based challenge. PATHFINDER training is based around three weekly WODs. Each workout is peer-led, meaning you and your teammates plan the workout and lead it. Not everyone will be able to commit to three workouts per week, which is why only twenty are required in twelve weeks. We encourage you to exceed the required minimums (Under promise, Over deliver). Tip: Find training ideas and examples in our workout WODs. Use this workout to get used to wearing the ruck during basic PT exercises. Typical exercises performed include: Push Ups, Squats, Ruck Overhead Press, Bear Crawls, Crab Walks, Low Crawls, High Crawls, Burpees, 8 Count Bodybuilders, Buddy Carries, and Log PT. Push yourself and your team past your perceived boundaries, and don’t quit! Practice taking your ruck on and off for various exercises. Get to know your gear and your ruck, make sure you can make adjustments quickly and efficiently. This workout should feel like a grind with some high intensity bursts thrown in. Be sure to give yourself a day or two of recovery after this workout, you’ll need it. Use this workout to get some ruck miles on your feet. Some days should be focused on speed while others should be focused on carrying coupons and working as a team. Test your gear, specifically socks and shoes/boots. Push yourself to go harder and faster. Monitor your average pace each week and aim for improvement. Set goals. Don’t stick only to flat areas or sidewalks, get out on some terrain and hilly areas. Mix it up. Your target rucking pace without coupons should be 15 min/mile. DON’T RUN. Running with your ruck for long periods is very hard on your body and is not necessary. On this day, rucks may or may not be required depending on the workout format. Include some sprints and jogs, include a run on occasion. Get your heart rate up. Incorporate some strength training with kettle bells, rocks, logs, or whatever you may have available. This workout should be mostly high intensity work. It is unlikely that you will reach your goal of at least 75 miles in 12 weeks through the three weekly workouts alone. Use the weekend to focus on ruck mileage and PATHFINDER challenges. The PATHFINDER program was designed in December 2013. The first twelve week period began on January 1, 2014 and ended March 26, 2014. In that twelve week period, a team of seven completed the program. Of those seven, two completed a GORUCK Heavy (Fort Bragg 002) and all seven completed a GORUCK Challenge. Three of the seven PATHFINDERs completed their first GORUCK event, while the other four had completed previous challenges. One of the three whom completed their first event was Angler, becoming the oldest individual to complete the GORUCK Challenge, and only the third ever Vietnam Veteran GRT. All of the seven credited PATHFINDER with allowing them to thrive in their respective events, including the GORUCK Heavy participants. Train like a PATHFINDER and crush that event :: Don’t just survive, THRIVE! Any news on when we can expect class 009? I’ve got a local group south of Raleigh chomping at the bit for more after our first light. Registration will be opening in a few days! I’m prepping for a GRT in early August, three weeks before the conclusion of class 009. Would PF still be worthwhile? Why wouldn’t it be worth while? Trust me there is no actual 1-2 hour workout ruck or otherwise that will get you ready for a 12+ hour event. Hi, I just found this group today. I know the class began yesterday, but if I can still sign up I’d be interested to join and meet the community. I work on a very cyclical team and may have trouble making some of the scheduled workouts in late July-mid August, but I can complete them on my own in that timeframe. I live in Charlotte so I can probably attend many of the other workouts in person. Happy to be back with my trusty old body with one new knee. Looking forward to class 014! I’ll be hitting the class solo, but this seems like a good virtual community. So, I’ll be fine. I’m looking forward to getting that finisher’s badge!